These inexpensive, easy to make incubators are a must for any wildlife rehabilitator raising young infants, “pinkies”. 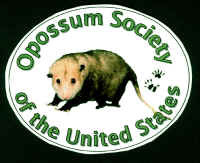 The young opossums are not able to thermoregulate (maintain their own body temperature) and will die outside of the pouch unless the proper conditions are met. The incubator provides 2 basic necessities: heat and humidity. Now you can make your own homemade water-based incubator, a “Waterbator”, with these easy-to-follow plans. Decide where to place air holes. I placed holes on the sides, about 2 inches apart, rather than the top. Warm air rises. You want to keep the heat in, not going out the top. Use paper hole reinforcements to mark where you want to drill the holes. Drill holes through center of reinforcement tabs. Smooth rough edges with a fingernail file. Saw through the lid crosswise. This will allow you to open just half the lid when you need to check infants, feed, clean, etc. thereby preventing heat loss. Tape across top of cut area leaving about 1 inch on each side tape-free so lid can bend. Also apply tape loosely on the bottom thus allowing lid to bend back. Place the Heater Guard over the Electronic Aquarium Heater. This is optional but since I am safety conscience I highly recommend this. The protectors are inexpensive. Place the heating element in the bottom of one of the containers securing with suction cup included with the heater. Fill with enough warm water to cover heater. It is best to use distilled water to prevent mineralization on your heater. Place remaining container with lid on top. If you will be moving the incubator than I recommend temporarily attaching the 2 containers together for extra safety. This is important because if you move the incubator and forget to hold from the bottom you will drop the bottom part and spill hot water. Fun Tak®, tape or Velcro® placed between the 2 containers will temporarily hold the containers together. Always hold from the bottom when transporting! Place layers of ravel-free bedding inside the incubator. Place a flexi thermometer next to where infants will be sleeping to monitor the temperature in their immediate vicinity. Place a hygrometer in the incubator and check periodically. Place in location where it can be read without opening incubator. Remember you want to keep heat and humidity in so don’t keep opening incubator. Temperature should be set at 100 degrees F. This will warm the air to 90-95 degrees F and humidity around 75-80%. If you find the humidity is not high enough then secure a plastic bottle filled with warm water and cotton balls to the inside of the incubator away from the infants. I use a plastic pill bottle with holes drilled into the lid to prevent infants from going into the hot water. If too hot, place towel around bottle to prevent infants from coming into contact with it and becoming burned. 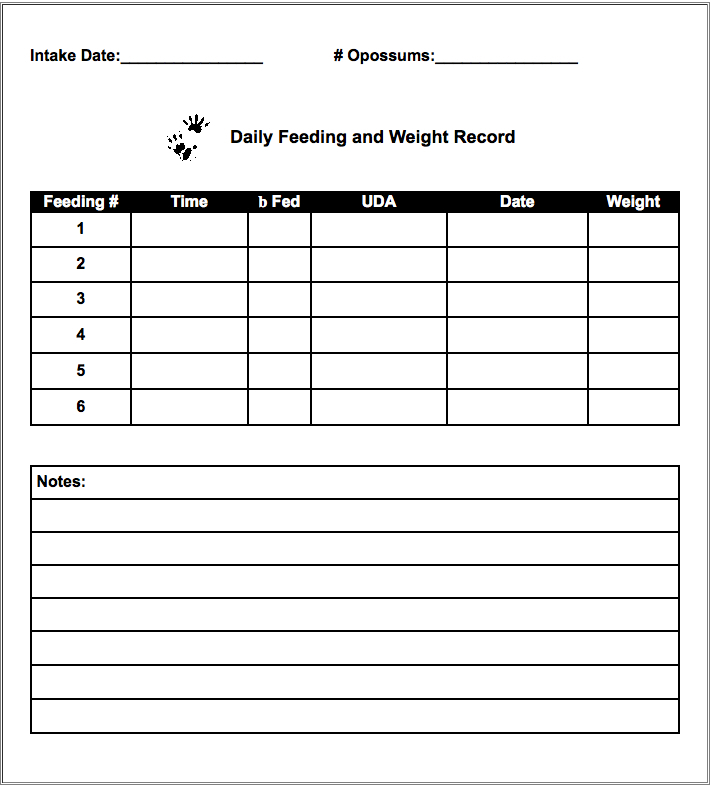 Optional: Make a daily feeding chart including spaces to mark feeding times, check off when fed, urination/defecation/appetite (UDA) and any additional notes. Laminate. Attach chart to the lid with tape. Use a dry erase marker attached to the incubator to prevent pen loss. Marker can be attached with Velcro®, tape or string. Copy or create your own to match you needs.